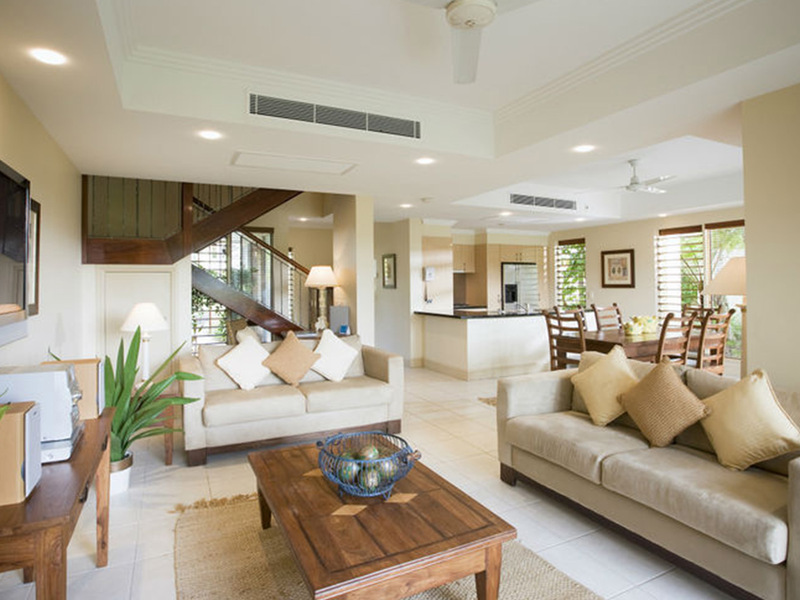 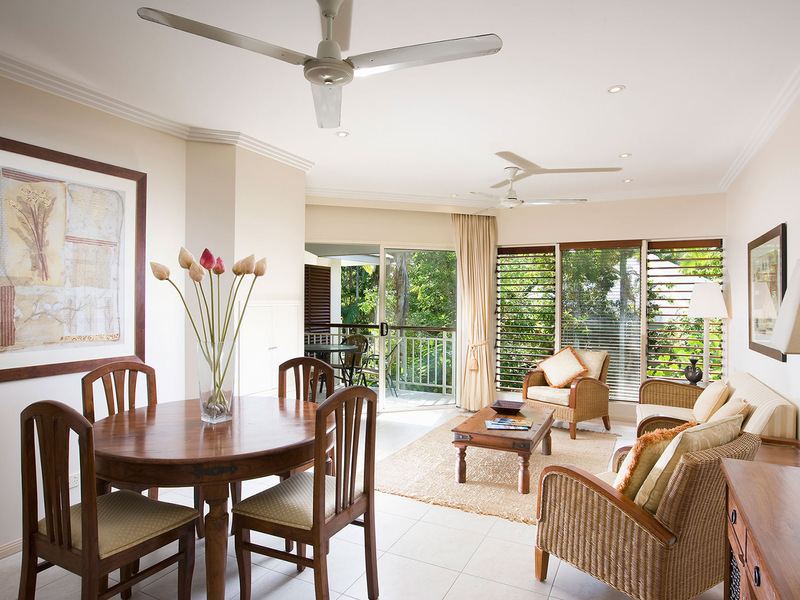 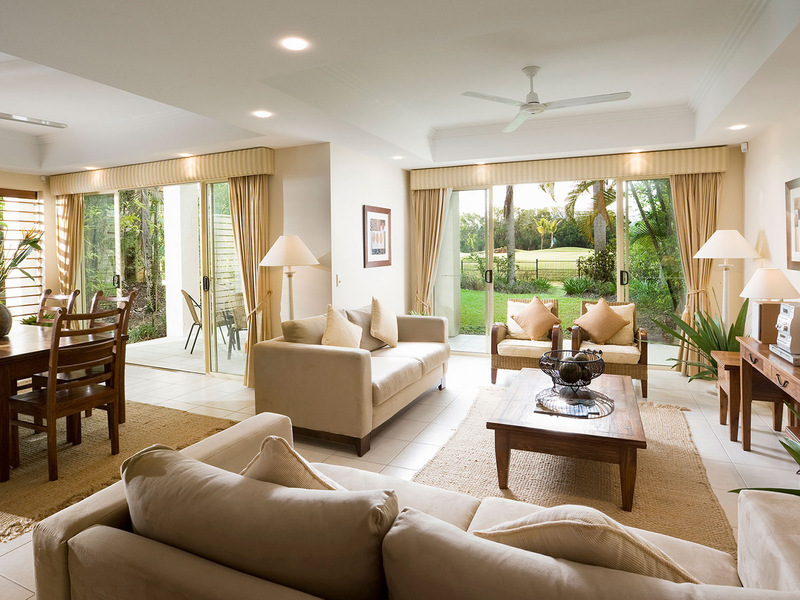 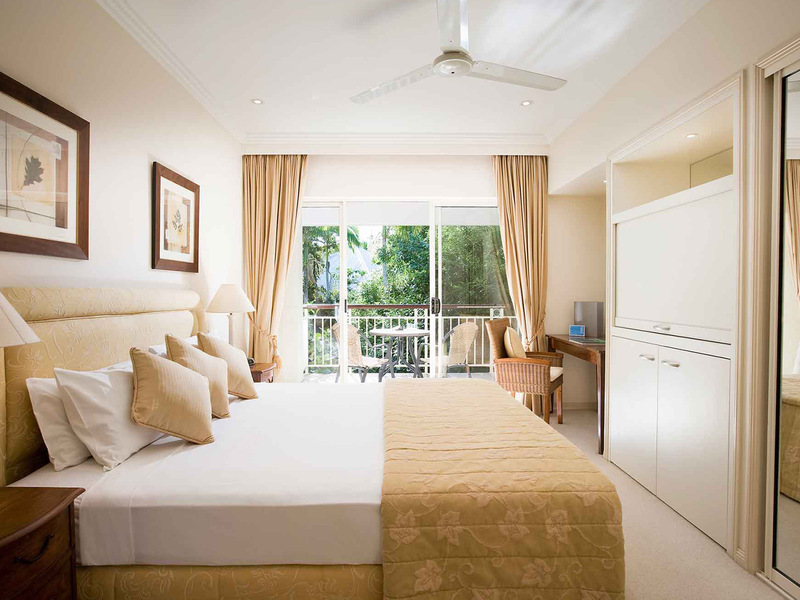 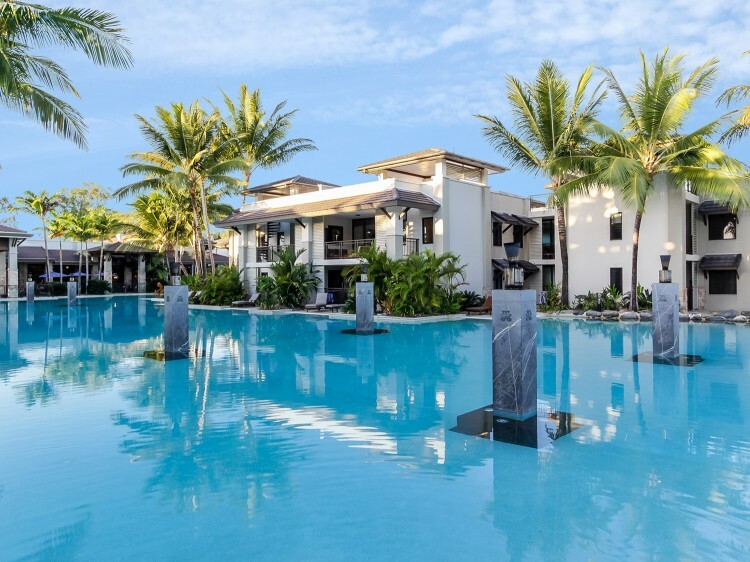 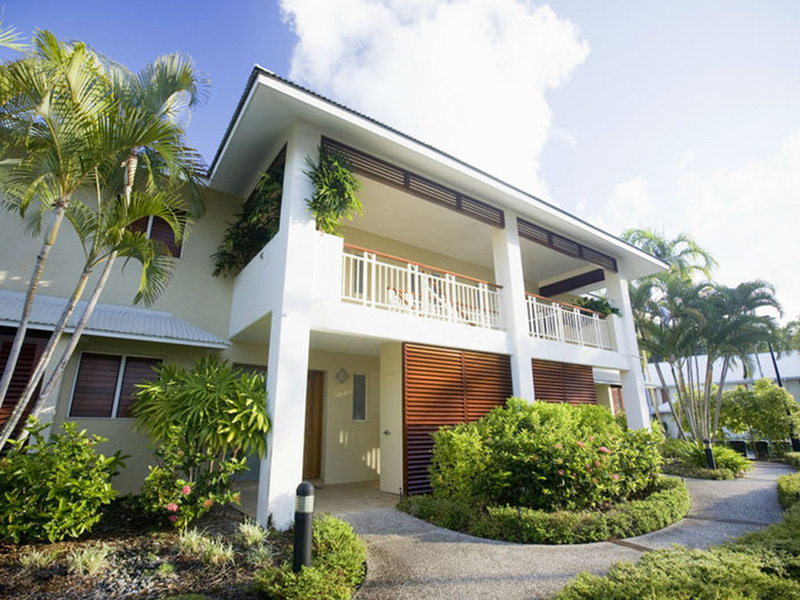 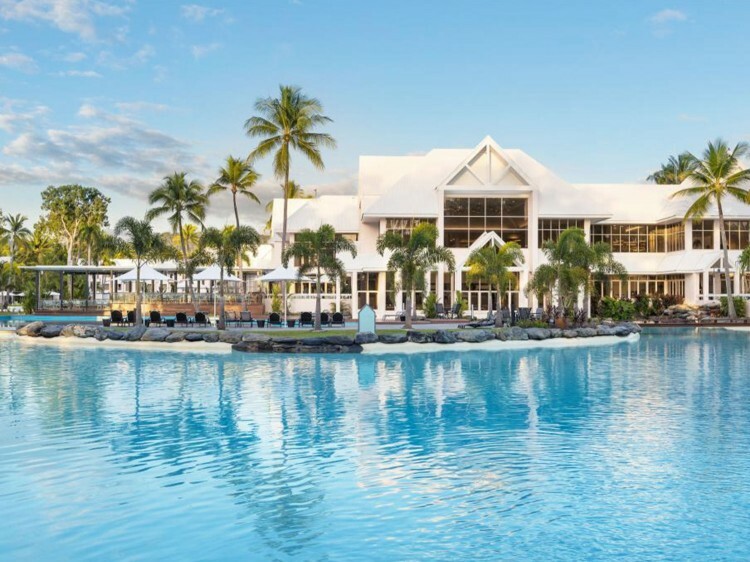 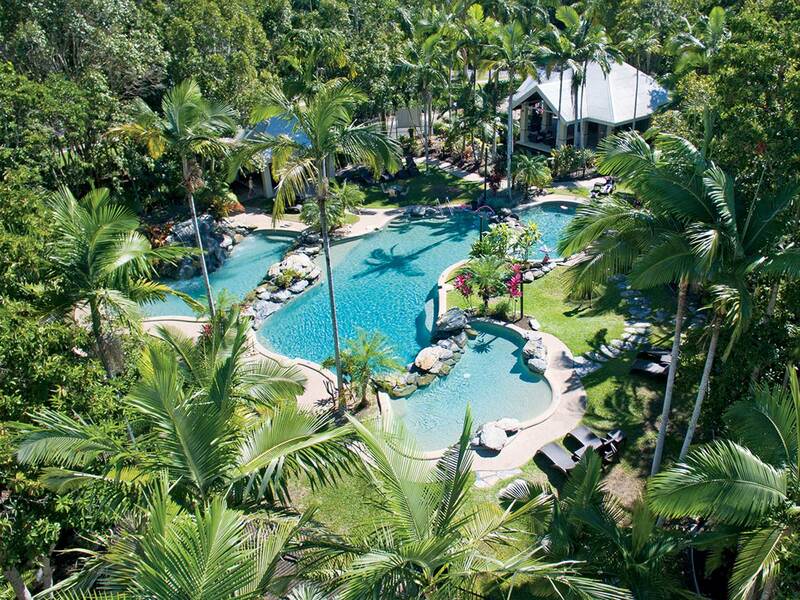 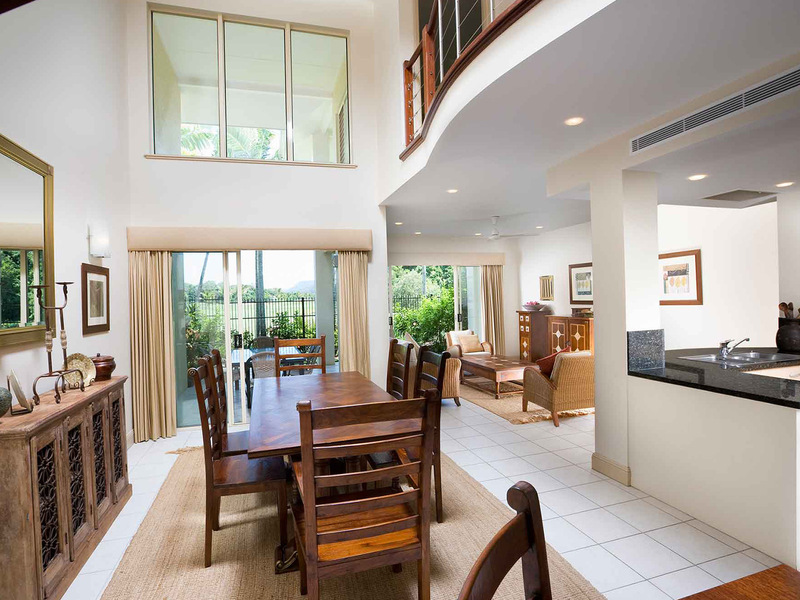 Just 60km north of Cairns, Paradise Links Resort offers a stylish, serene place to enjoy your tropical north getaway set in 10 acres of lush tropical gardens and boasting 63 self catering apartments and villas. 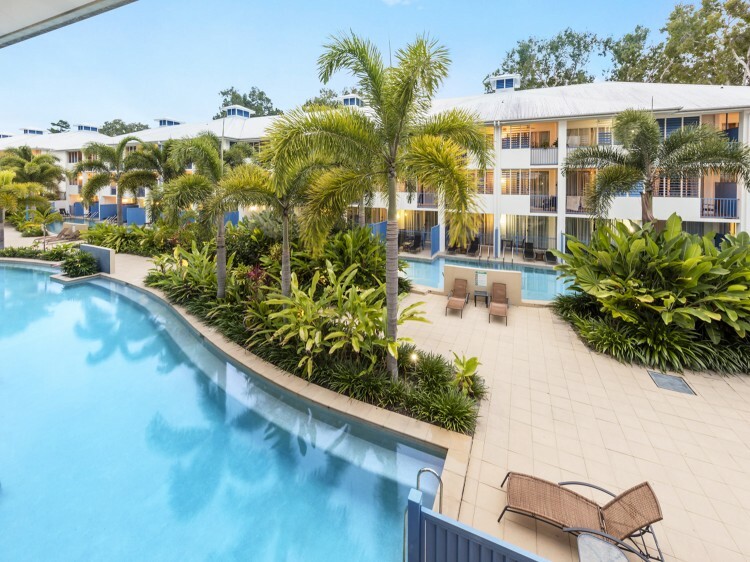 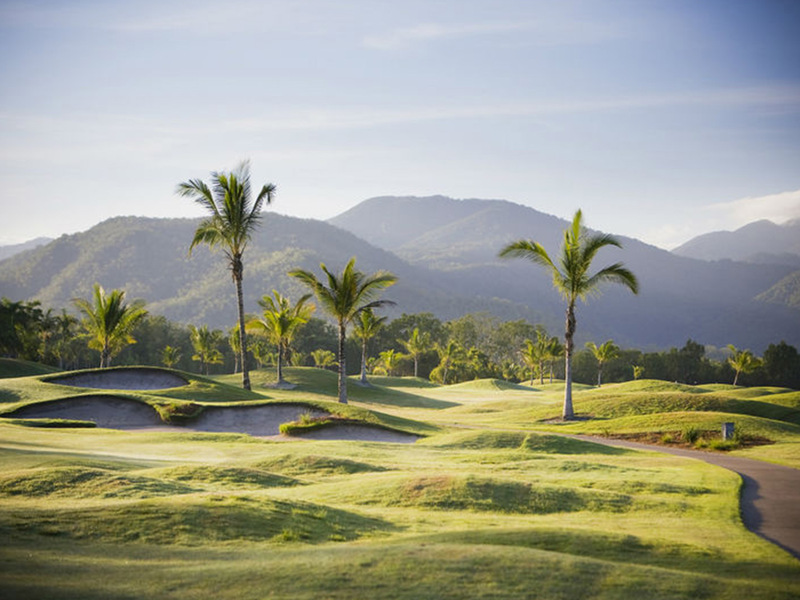 Located adjacent to the Sea Temple golf course, Paradise Links is the ideal setting for a family holiday, golfing getaway or romantic escape. 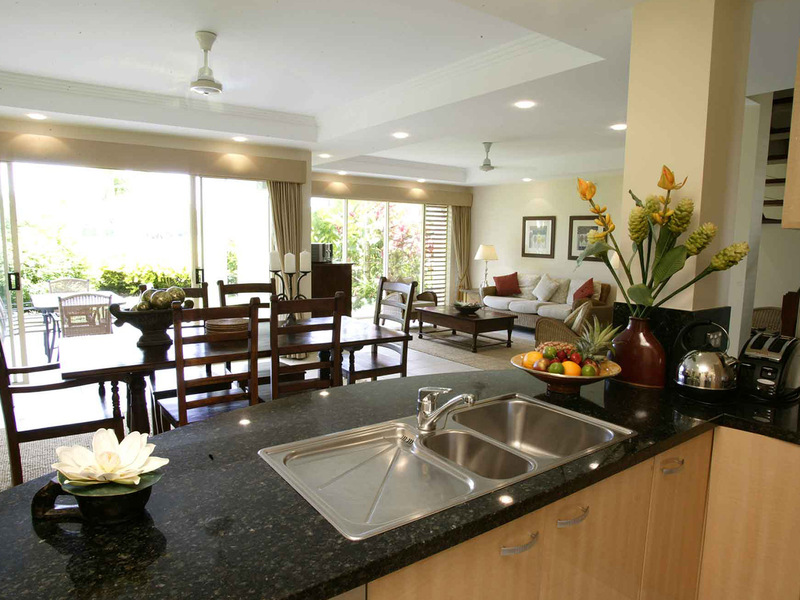 Paradise Links features two lagoon style swimming pools with shady areas, sun lounges and barbecue facilities. 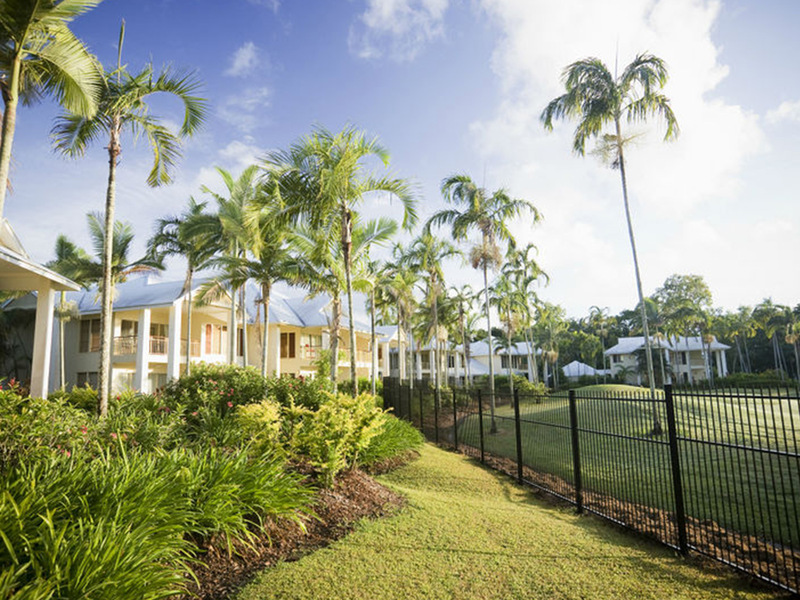 Enjoy a hit on the floodlit tennis courts, available for day and night use. 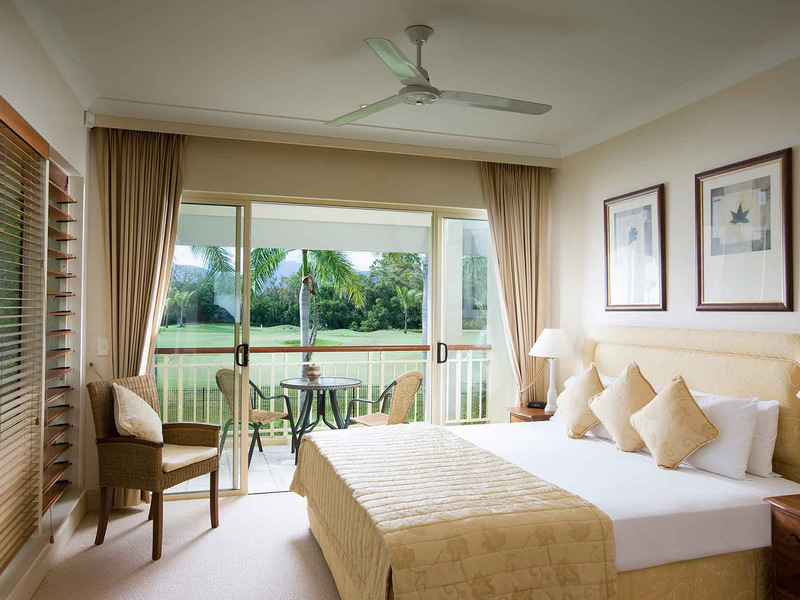 Car parking is complimentary - villas include lock-up garages while hotel rooms and apartments have car parking inside the gated resort. 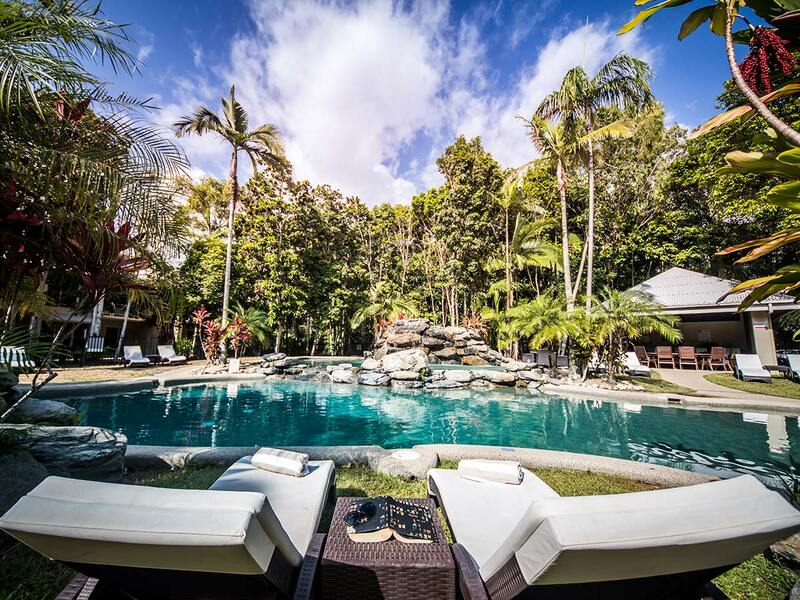 The local shuttle bus picks up at reception regularly for easy access into Port Douglas (daily and weekly passes are available).